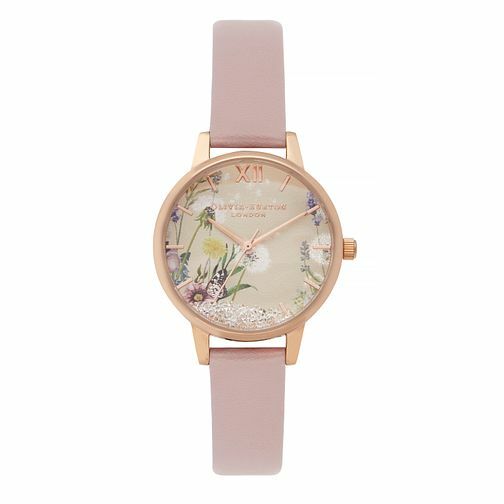 A shimmering timepiece by Olivia Burton presents a pretty grey dial with a floral and butterfly pattern, embellished with glittering metallic flakes for a finishing twinkling touch. Set within a rose gold plated case, complimented with co-ordinating hour indexes and three hands. A pretty pink leather strap completes this sleek timepiece.